For this issue of MMO Co-Opportunities, we’re taking a look at updates to some MMO that have been around for a while: TERA, Black Desert Online, and RIFT. This will be a pretty console-heavy issue as well. The biggest TERA update to date on Xbox/PS4, “TERA: Reloaded,” dropped last week. Introducing a new race/class combo (the Elin Gunner), “Reloaded” also brings a new gear progression system, special Guardian Legion missions, and anniversary events to the table. A host of new and returning dungeons are also going to be appearing in TERA this month: three low tier, three mid tier, five high tier, and two highest tier. 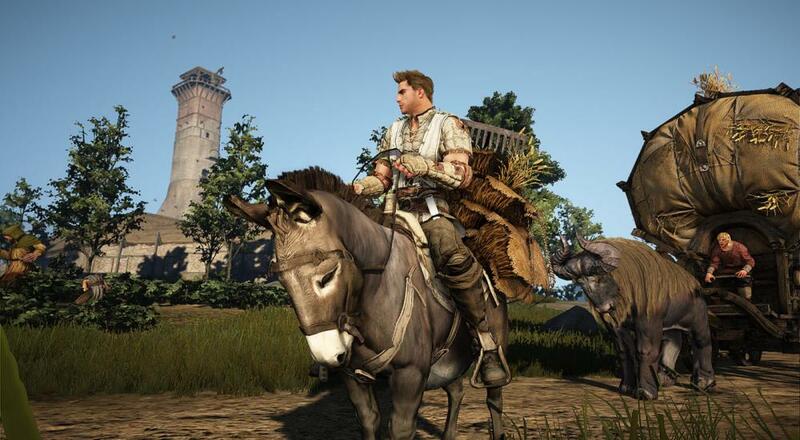 Black Desert Online on Xbox One got an update last week that introduced four new classes into that version of the game: the Dark Knight (knight with ranged magical skills), Lahn (an acrobatic fighter), Musa (martial arts fighter), and Striker (hand-to-hand combatant). You can check out more details of these classes’ primary weapons, secondary weapons, skills, and bios on Black Desert Online’s Xbox One site. Battle Passes are becoming very popular these days, but I honestly never really expected to see them in MMOs anytime soon! RIFT has defied my expectations, however, by detailing the first season of its battle pass, set to release very soon. The upcoming battle pass will have 30 levels and can be leveled up by completing daily and weekly quests. There will be 5 daily quests a day (7 for Patrons) and 3 weekly quests a week. Rewards will be divided across the 30 levels and will be split between rewards for the Free pass, rewards for the Premium (purchased) pass, and rewards for Patron Premium pass (Patrons who have purchased the pass). Rewards will include premium service consumables, fiery cosmetics, and premium lockboxes. The cost of the purchased pass will be $9.99. That wraps it up for this issue of MMOCO. Now that spring is in the air, what MMOs are you playing?